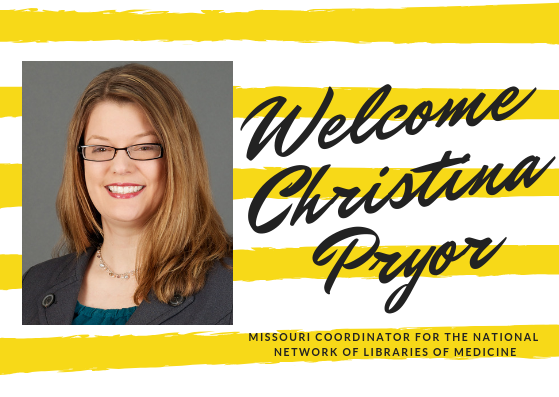 The University of Missouri Libraries are pleased to announce that Christina Pryor has been hired as the new Missouri coordinator for the National Network of Libraries of Medicine in the Midcontinental Region. Christina has a Master of Library and Information Science from the University of Missouri and a Bachelor of Journalism from Southern Illinois University at Carbondale. She is coming to us from the University of Washington Health Sciences Library in Seattle where she served as the assistant director and community health education coordinator. Her previous positions include consulting and education services manager for Amigos Library Services, reference manager for the St. Louis County Library System, and medical research librarian for Covidien/Mallinckrodt. Christina is currently serving as the conference chair for the Library Marketing and Communications Conference, which will be held in St. Louis this fall.